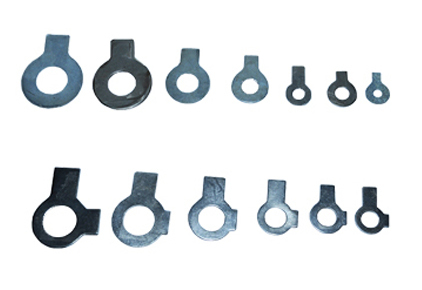 Single Tab washers are available in stock as per Indian Standard 8068A (IS 5372) from sizes ranging M-6 to M-36 in materials Mild steel (M.S.) and stainless Steel (S.S.) Grade 304. These can also be manufactured in all the different materials like Brass, copper, spring steel etc as per your specifications, requirement, drawings or samples. For more information kindly refer to our price lists on this website.